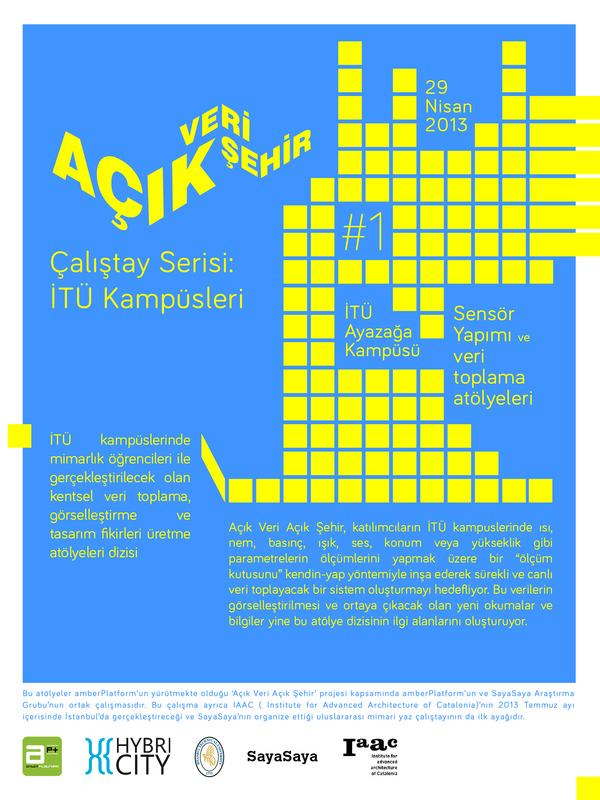 During the 1st workshop in April, arduinos Sensorboxes got installed at ITU, in the second one Quadrigramm visualisations covered, now this event will uncover design methods by data. Data is immaterial. It is colorless, shapeless, tuneless until it is processed, visualized, relationed. The generative processes that materialize data is about the design of the machinic assembly and the responsive choreography. 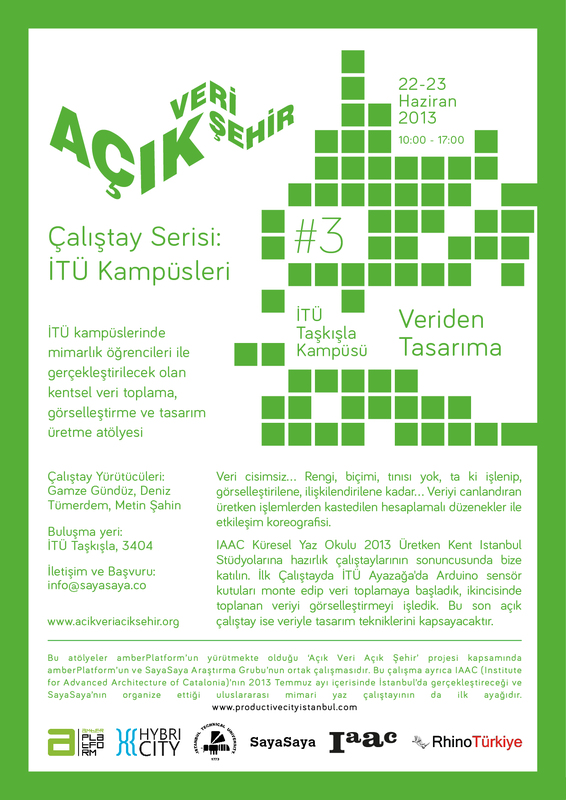 Join us in this final preparatory workshop towards the Istanbul sessions of Procductive City, IAAC global summerschool 2013. In preparations to the summer school the second workshop is due this saturday. We installed Arduino sensorBoxes in the first workshop, now we will visualize the data collected. Saya Saya is collaborating with Amberplatform’s Hybri-city in OpenCityOpenData workshop series.